Beyond the fantastic simplicity of the Delta natural solid oak dining table, this solid oak dining table is just oozing with designer style. 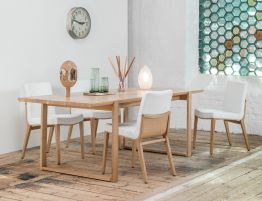 One of the things that makes this modern dining table so gorgeous is its solid oak construction. Oak is known for its durability and beautiful grain and here in such a minimalist designer dining table, it offers a refined, natural feel. 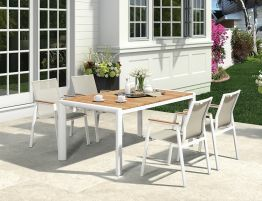 This is a great dining table a few vacillate between a refined modern look and an earthy natural organic inspired style. 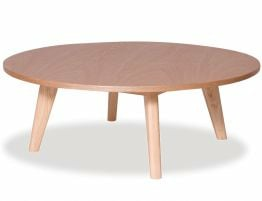 The natural finish, solid oak construction and pared down style make this modern dining table impervious to changing trends. 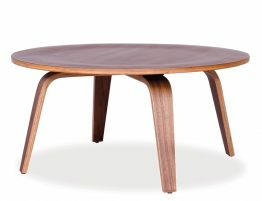 Designed by Kai Stania and manufactured by TON CZ, this table is built to last you a lifetime and withstand the daily abuses heaped on it by children and dinner guests alike. 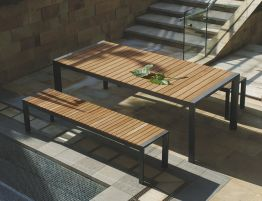 This timber dining table would be a great kitchen dining table for a chic, minimalist inspired kitchen. Or pair this elegant designer dining table with the perfect chair in your dining room. The framed pedestal, perfect angles and smooth expanses at the designer details that make this solid oak dining table so memorable. We love the way this dining table looks with the TON CZ Mojo Oak dining chairs, available in both black and white leather variations. At Relax House, we offer a huge selection of dining chairs that would look beautiful with this oak dining table. We have oak dining chairs, modern dining chairs, kitchen dining chairs and more to help you pull together the perfect look for your dining room furniture or kitchen dining furniture. 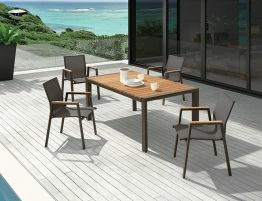 Don't buy throwaway dining furniture when high-quality, solid wood designer dining furniture is so affordable. 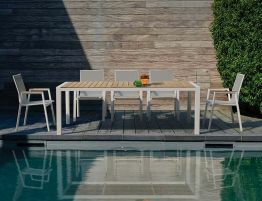 Without doubt, Viennese designer Kai Stania´s pieces emoby his greatest strengths, a near perfect blending of aesthetics and functionality, as evidenced by the outstanding design of the Delta natural solid oak dining table. In addition to his extensive work as an architect and designer, Stania teaches at the Institute of Building Technology and Design of Vienna´s Technical University. With our extensive range of designer furniture pieces from TON CZ, high quality, solid wood furniture and designer originals are now affordable.